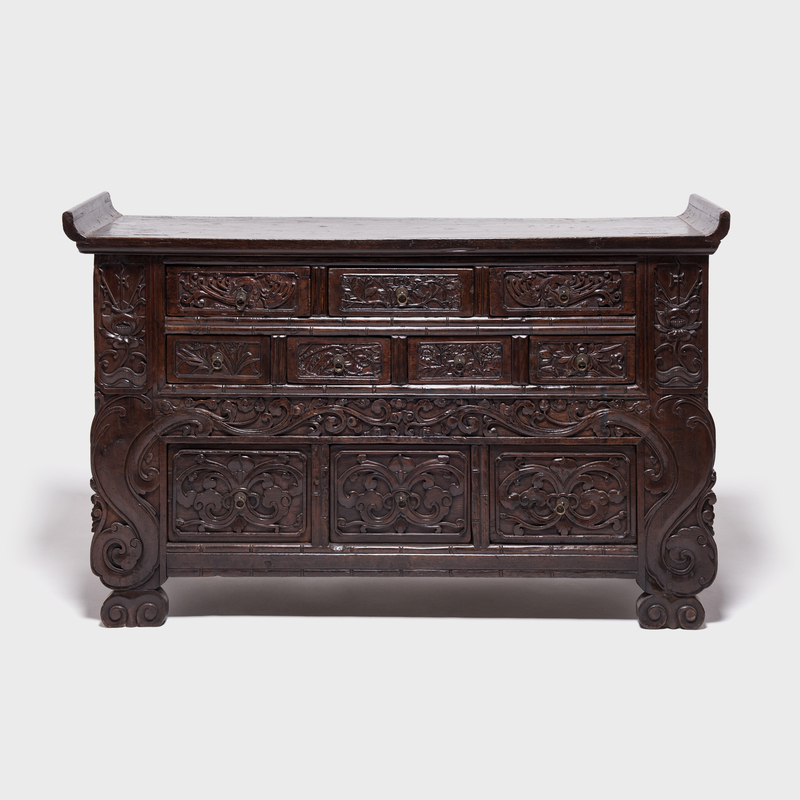 W: 68.5" D: 22.5" H: 18.25"
This elegant 19th-century low elmwood chest is adorned with finely carved floral scrollwork, spanning from the apron to the spandrels and across all seven drawers. 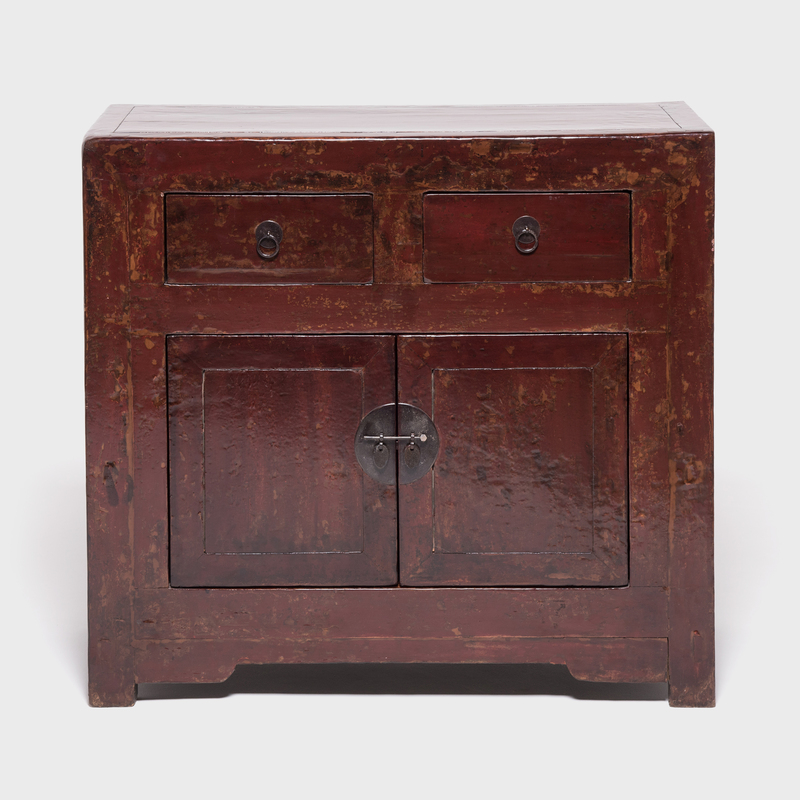 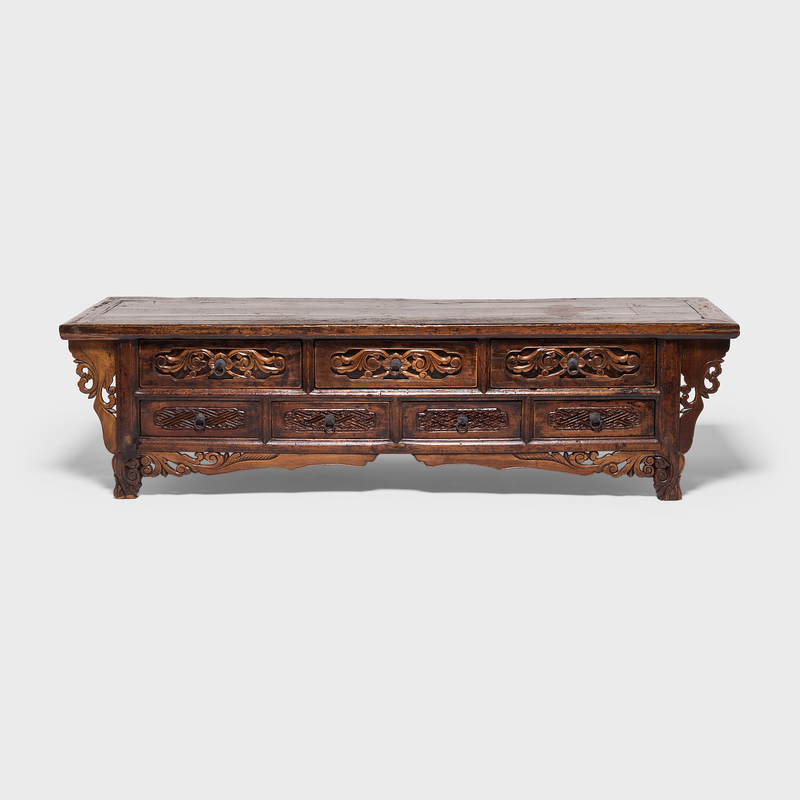 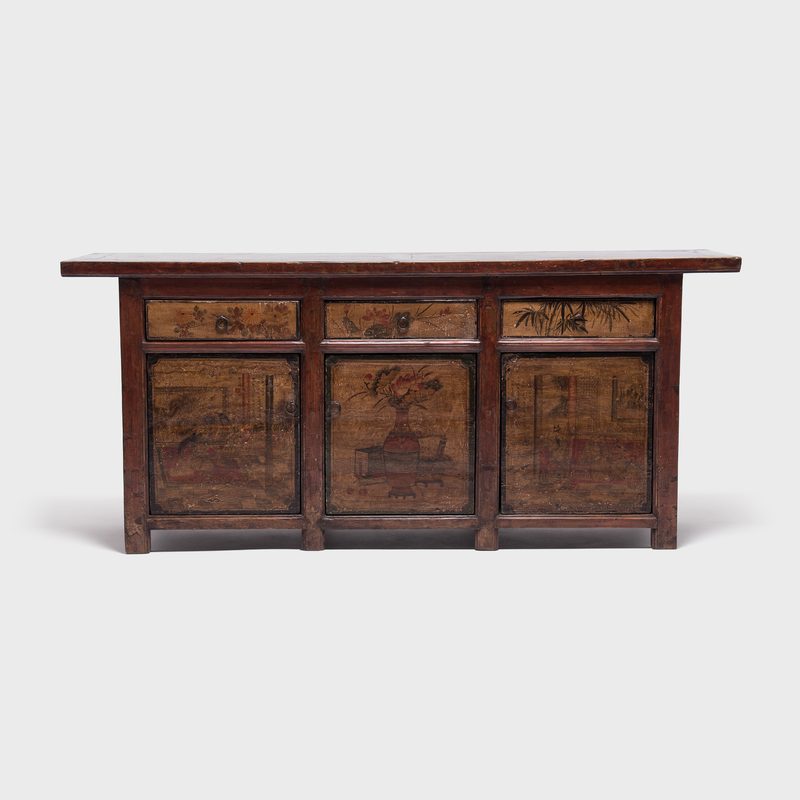 In a traditional northern Chinese home, this type of chest would have been placed beside a raised platform called a kang, which was used as a sleeping and living space. 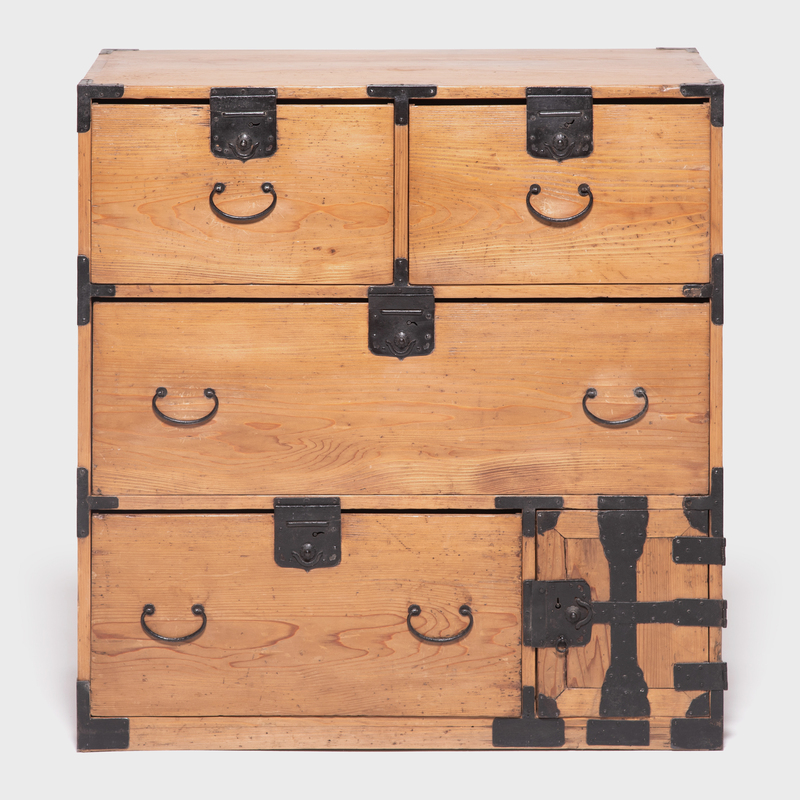 Likely used to store dishware and other useful objects, this ornate chest would have been the at center of daily life.